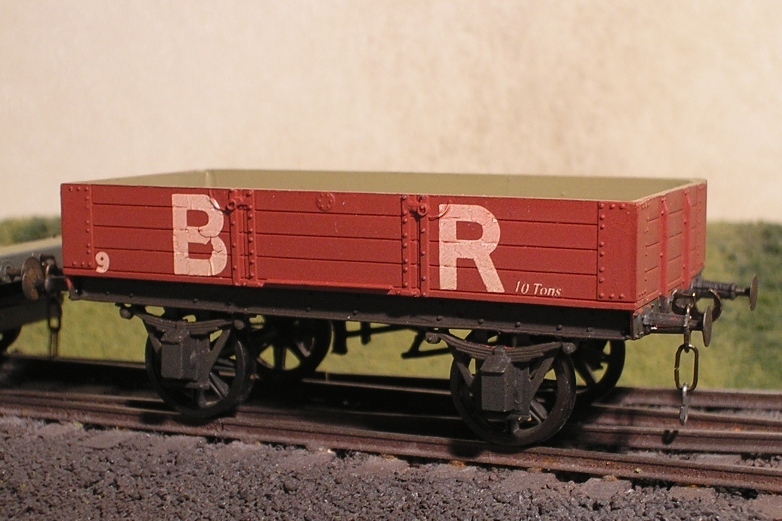 This model is of a diagram 90 Goods Brake Van built from a Redcraft kit. Until 1915 this was the standard brake van used on the Barry Railway. 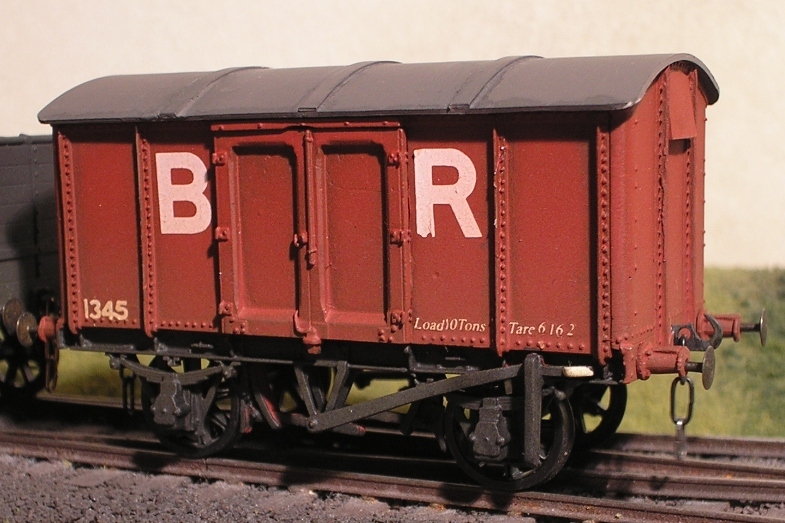 Nearly all of the Barry's 750 covered goods van were iron bodied like this model built from an ABS kit. 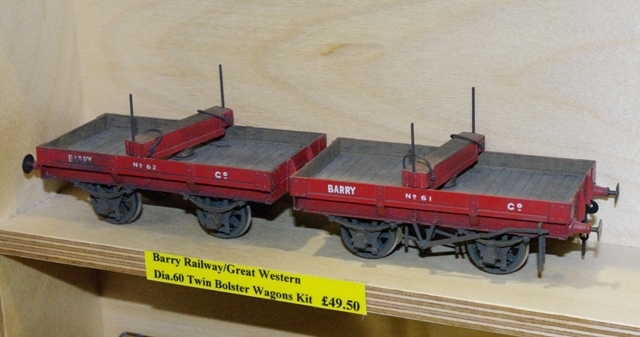 The Barry Railway had a large mixture of small open merchandise wagons. This model of a diagram 38 Open Goods wagon is built from a Coopercraft kit with replacement axleboxes and brake gear. Note that many Barry wagons had split spoke wheels. 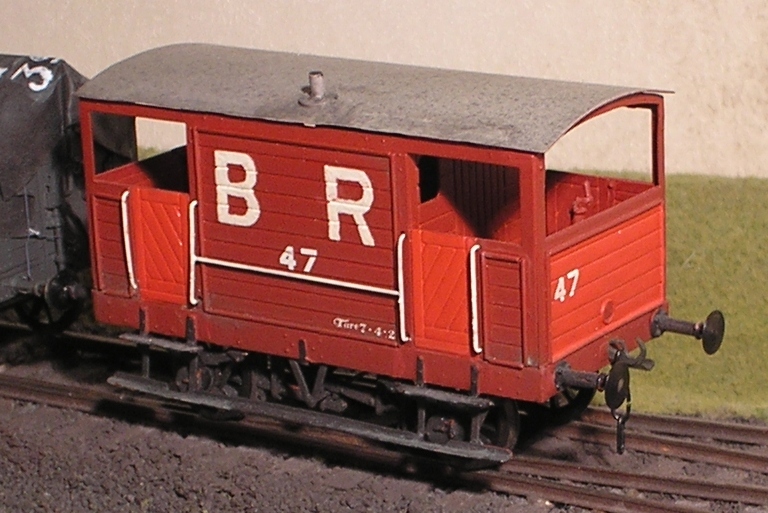 This model of a Barry Goods Brake Van has been built by Chris Baston from one of his own Dragon Models kits and is in 7mm scale. It was built to diagram 91 in 1915. 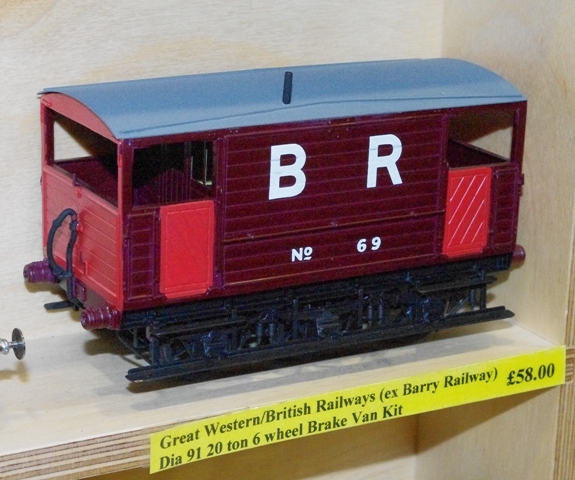 According to Chris, Barry goods brake vans were painted this maroon colour, and not the same red as used on their wagons. However, this important fact is not mentioned in the recently revised GWR Way by the HMRS. Another model by Chris from a Dragon kit. A different shade of red to what I have used. I don't think that we can be sure of the exact shade, but I do like it.I can't wait until he brings it out in 4mm. The final Barry wagon that Chris has is a different design open wagon.